Moving, even at the best of times, is quite a stressful affair; and the stress doesn’t only start on moving day, it begins from the moment you start packing. Getting your goods to the next place unharmed is not always as straightforward as you might imagine. Because of this, it is important to source packaging solutions that not only keep all of your valuables together, but also keep them protected while they are in transit. While most moving companies in Johannesburg are well equipped to help you with this, there will be times where you need to do it without professional assistance. For those times, these packing tips will help. You’ll want to start with sourcing packaging materials, particularly boxes and crates. They are your first line of defence, offering a base level of protection for your goods. They also help you organise them to make transit and unpacking that little bit easier. 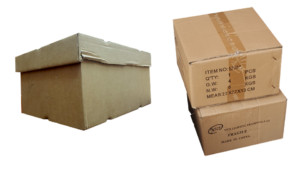 There are plenty of places to source packaging materials like crates and boxes. A good place to start looking is at grocery stores or shopping centres where goods are often delivered in boxes. When working with boxes be aware that they are not resistant to water damage or puncturing, and so for fragile goods, you may want some additional protection. This is particularly important for glass, pottery, electronic equipment and other sensitive goods. Transportation isn’t always a smooth process, and when items are not adequately protected, they can be easily damaged. Line boxes with cloth, sponge and other soft items to keep their contents protected from damage while in transit. Pack each box or crate according to the rooms in your house, and who those items belong o. Now be sure to label each of these boxes clearly. This will ensure that everything is present and accounted for upon arrival, but will also make it much easier for you when the time comes to unpack your goods, since you will know where everything should go at a glance. Moving without professional assistance is very difficult, time consuming and risky. Even if you have quite a bit of experience with moving houses, you are still not quite as equipped as a professional mover. Yes, their services do come at a bit of an extra cost, but far less of a cost than mistakes when doing it yourself can bring. If you would like assistance from a moving company with the experience to get it right, contact a representative from Better Moves today, or visit our website to learn more about our offers and services. ← What should I Know when I Plan my Move?